Yesterday, we told you that HP was going to announce the world’s thinnest laptop. 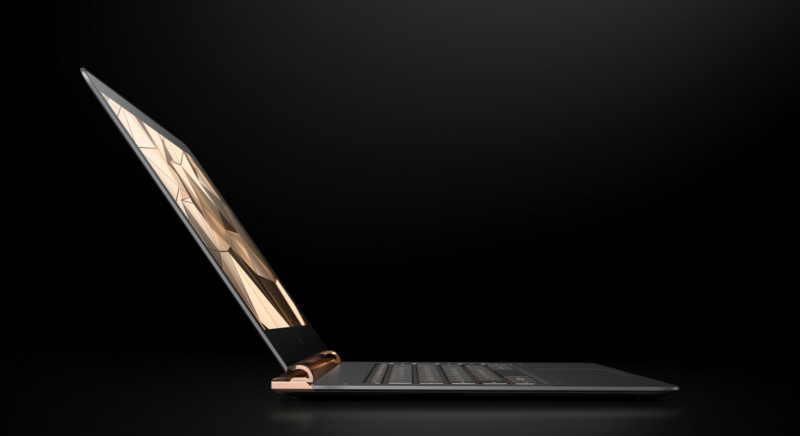 Today, at the International Luxury Conference in Versailles, HP announced the Spectre 13 – the world’s thinnest laptop with a thickness of only 10.4 mm. This is much thinner than all model of the Apple MacBook and the Dell XPS series. Recently, in January, HP announced the Elitebook Folio that measured only 12.7 mm in thickness. The Spectre 13 further shaves off a few millimeters to give it that eye catching appearance. Coming on to the specifications of the Spectre 13 – the laptop features a 13.3” 1080p display with 256 SSD storage and 8 GB RAM. What’s notable is that instead of choosing the Core M processor (which is the standard for laptops this small), HP has gone with Core i5 and Core i7 processor versions for the Spectre 13. The Core i processors, though much better performers than the Core M ones, heat up more quickly and drain more battery. However, HP’s vice president of consumer PCs, Mike Nash, says that HP knows that its customers are looking for the faster Core i processor in their laptops and that the company has “pulled it off today”. The Spectre 13 will feature a heat pipe that will take heat away from the processor. It will also feature two fans to provide a more efficient cooling solution. As for the battery, HP has developed a thin but broad battery for the laptop which is expected to give up to 9.5 hours of use. Though the battery time is still average, it is still remarkable considering that the laptop will feature the Core i processors. Sadly though, there is no touchscreen and no QHD display on the HP Spectre 13. The design of the Spectre 13 is its stand-out feature. The body on the Spectre 13 is consists mainly of aluminium that has been colored dark gray. The bottom is made up of light weight carbon fiber. A light bronze colored strip also runs along the edges that adds further to the beauty of the Spectre 13. HP has designed the Spectre 13 to be a premium laptop in terms of both looks and feel. A drawback of this elusive body, however, is that it picks up fingerprints very easily. Finally, with the Spectre 13, we also see a new HP logo that looks much more attractive to the eye than the traditional one we’re all used to. This new logo (as shown in the picture) is angular and looks much more sharper than anything HP has had in previous years. The laptop will be available for preorder on the 25th of April in the international markets. The expected price tag on the laptop is around $1,170 which is roughly equivalent to PKR 122,500/-. The laptop is expected to be officially available in the markets in May. 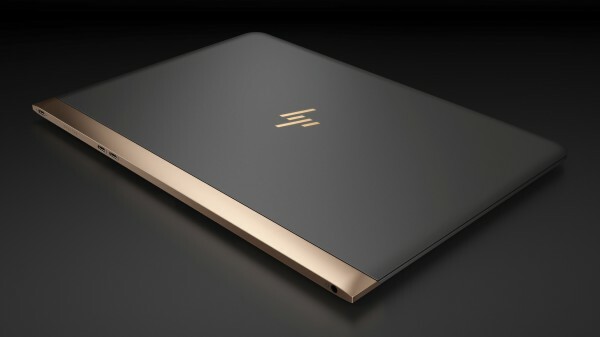 The post HP’s new laptop could give the Macbook a run for its money appeared first on TechJuice.